One of the things I inherited from my parents’ move to Ohio last year was my dad’s old citizens’ band radio (CB radio). That radio sure conjures up memories. 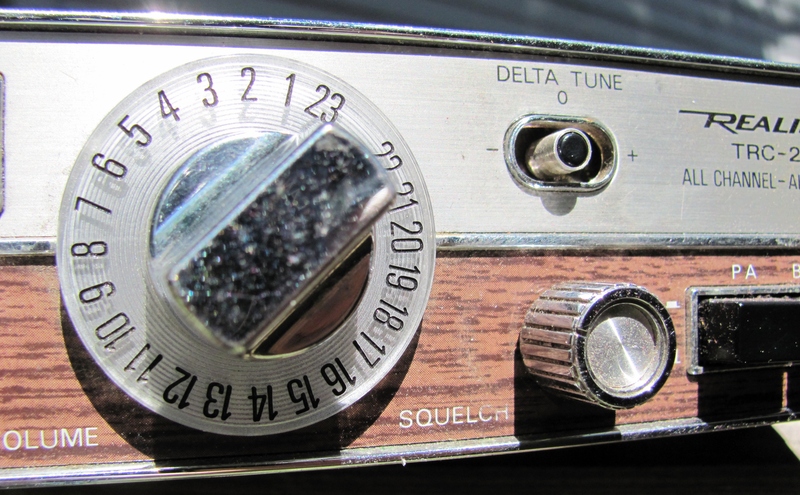 Next to the volume control was a dial labeled “Squelch.” That was how you got rid of the static. Dad would turn the dial slowly until the static would stop and keep turning it until he picked up a channel, every now and then throwing out a “Breaker 1-9 for a radio check” until someone would respond. Without squelching the static, we couldn’t communicate on the radio. I am on a 4-week sabbatical, part of which I am seeking to use to squelch some static in my life. That static is distracting and is annoying. The static of noise. The world is noisy. Media is noisy. Technology is noisy. Activity can be noisy. And for me, noise is distracting. I am seeking some quiet. The static of busyness. I just read a rather scathing indictment by one pastor on busyness in ministry. I won’t get into exactly what he said here, but what he said is true. (Okay, he said that pastoral busyness was due either to vanity or laziness.) There is nothing noble or spiritual about being busy. Busyness is actually carnal and it is noisy. The static of expectations. The expectations people have of me and the expectations I have of myself shout at me all the time. It’s hard to hear above those shouts. The static of sin. I battle with “the flesh” every day and when the flesh is energized, the flesh is really loud and when the flesh is loud, I don’t hear well. Why squelch the static? I want to hear from God. To Israel God said, “In repentance and rest is your salvation, in quietness and trust is your strength” (Isa. 30:15). David wrote, “Be still before the Lord and wait patiently for Him” (Psa. 37:7a). Psalm 46:10 says, “Be still and know that I am God.” When God made Himself known to Elijah in the midst of that prophet’s spiritual depression, He didn’t come in noisy wind or flamboyant fire, but in a still, small voice. You can’t hear a still, small voice when there is static. So, I want to squelch the static. I’m trying to turn the dial until the static is gone and the channel is clear for communication. This entry was posted in Uncategorized and tagged Busyness, Ministry. Bookmark the permalink.